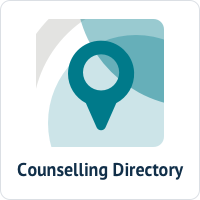 The word 'therapy' covers talking therapies such as counselling, psychotherapy and coaching. Therapy offers a safe, confidential place to talk to a trained professional about your feelings and concerns. You might talk about difficult events in your life or your relationships and emotions. Or you might have negative thoughts and behaviours that you want to change. There are endless reasons why somebody might want to come to therapy, and no problem is considered 'too small' to be deserving of some time with a counsellor. You might have a specific issue you want to talk about, or maybe you can't quite put your finger on what the problem might be. Counselling allows you the space and time to explore how you are feeling; it can help you make sense of and understand confusing and difficult emotions, and can teach you good strategies for changing unhelpful patterns of behaviour and developing new, more helpful, ones. Therapy isn't just for adults; it can be equally as helpful for children and young people, too. How long should I expect to have counselling for? The length of your time in therapy will depend on your own unique and individual circumstances. A general recommendation is that you will be offered six sessions, followed by a review session where we can decide together whether or not it would be beneficial for you to continue. I only want one session, is this okay? As your first session will be used to assess your circumstances and suitability for counselling, it is unlikely that you will gain any therapeutic benefit from just one session. However, you are under absolutely no obligation to agree to further sessions following this assessment. Can I have more than one session a week? Yes, if it is agreed that this would be helpful for you and is in your best interests. - If I have cause to believe that you are an imminent danger to yourself or to other people. - If you disclose to me that you intend to commit a serious crime*. In such instances, it is my legal and ethical obligation to notify the relevant authorities. When working with a child or a young person, my limits of confidentiality will differ. You can contact me to discuss this. If you need to cancel your appointment, the session remains chargeable unless you give 48 hours notice of the cancellation. The charge would not be applicable in the case of an emergency (hospitalisation, illness or bereavement). If you cancel sessions regularly, it is likely you will not be getting the full therapeutic benefit of therapy.